Businesses such as automobile body shops that make use of garages or service stations can be risky… Owning such a business entails the safekeeping of not only your own property, but that of the customers as well. Whether you are doing services, repairs, installations or even parking, a customer that leaves you with their car trusts that it will be returned to them undamaged. Unfortunately, things do not always go according to plan. Fires can destroy your entire storage space and everything within it. With services such as parking and valet, collisions are always a possibility, especially when you consider that you can only control yourself and not other drivers. Theft and vandalism is also a common issue as criminals identify garage and service areas with multiple cars and their valuable parts. There is also the slim chance that something could go wrong with the service itself. Garagekeepers’ insurance protects your business’s reputation and ensures customer satisfaction in the event that something happens to your clients’ cars. With all the possible risks associated with cars, it is not worth gambling such valuable possessions of your customers. Do not allow an expensive problem to drain your wallet and tarnish the future success of your business! Regardless of how many vehicles your garage or service area can store, you will need to select limits for your coverage and choose the deductible amount. The deductible is how much you need to pay out-of-pocket before the insurance coverage takes over. 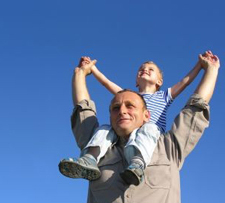 The limits you set will determine how much the insurance actually covers once the deductible is met. 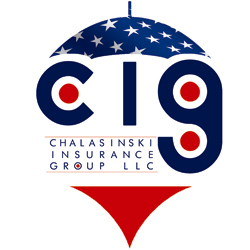 Here at Chalasinski Insurance Group (CIG), we are more than happy to assist you with any needs or questions regarding garagekeepers’ insurance and insurance coverage in general. Please call CIG President Tom Chalasinski at 440-838-5383 to enroll in a garagekeepers’ insurance plan. If you own a business that utilizes a garage or any other type of service/ storage space for customers’ cars, do not wait any longer! With garagekeepers’ insurance, you are at ease knowing that despite any possible and unfortunate incidents, your customers are prioritized and will keep returning for future service. Take the first step to ensuring the reputable success of your business by contacting us today!